Bicycles can be rented at the reception desk. Bicycle rental is possible from 9 am. 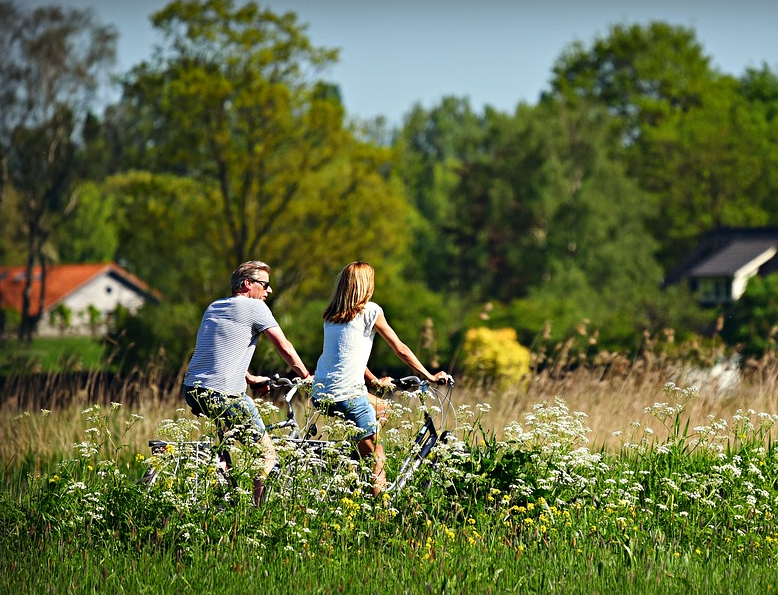 You can rent a bicycle until 10 am the next day. Please choose a bicycle beforehand and pass on its number to the reception desk. The number can be found on the bicycle's mudguard. The bicycle parking is located next to bungalow 11. For more information, please contact the reception desk. This large playground is divided over multiple floors. The children will come across a lot of fun play equipment while climbing around. They can glide off the slides of different shapes and sizes, and play in the large ball pit. 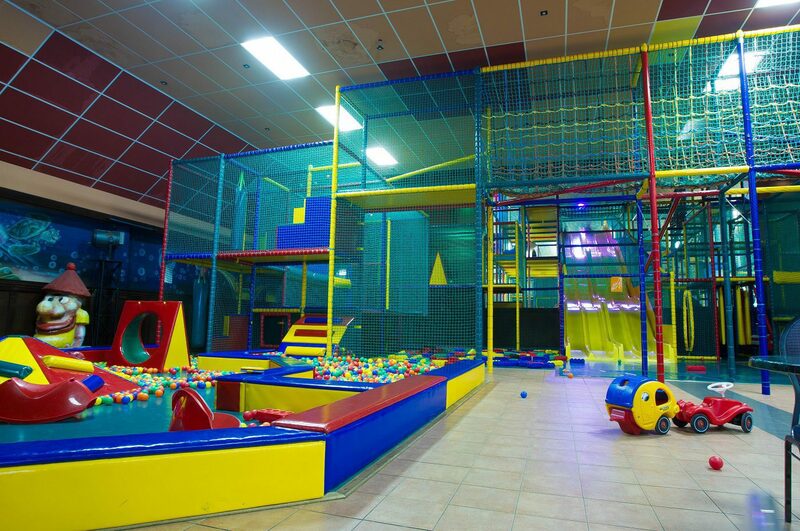 The paradise also has facilities such as monkey bridges, large Lego blocks, toboggan runs, ball cannons, and a soft play corner for the littlest ones. If you're lucky you will see the mascot of Play City as well, don't forget to give him a big hug and take a photo with him. As guest in the bungalows and chalets of De Scherpenhof you get free access to Play City, for Camping guests there's a discount on the admission fee! 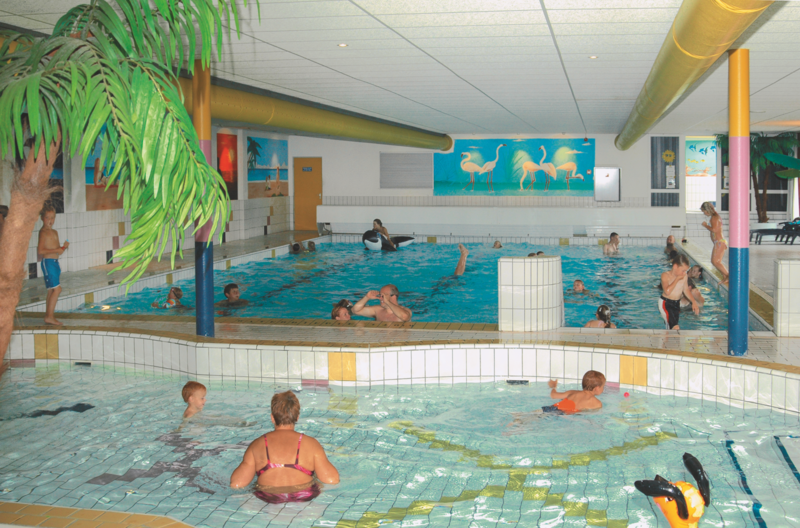 You can go for a lovely swim in the heated indoor pool. There is a separate section for the little ones. In the summer months you can participate in activities such as water aerobics and diving lessons. The large outdoor pool is the perfect place if you want to sun tan. You can lay down your towel there after a swim and enjoy the sun. The outdoor pool has a separate paddling pool as well, so the little ones can also enjoy a day at the pool. If you want to suntan, then the outdoor pool is the perfect place. You can put your towel down after a swim and enjoy the sunshine. The outdoor pool also has a separate toddler pool, so even the littlest ones can enjoy a day at the pool. The pools are open every day in the high season from 11 am to 7 pm. 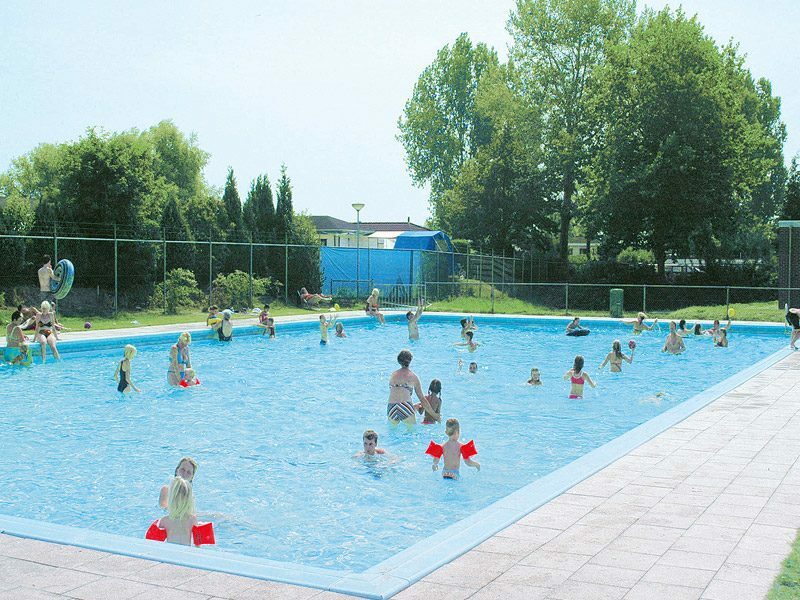 The opening times of the outdoor pool are limited in the low season. In addition to the swimming pools, the park also has a harbor and a natural recreational lake. The natural recreational lake has a large sandy beach. Here you can sunbathe or build sand castles during the summer months. There are also special spaces at the recreational lake for holiday goers who want to cast their fishing rod. Bowling De Scherpenhof is the place to be for the whole family. You can come to us for almost all types of fun and entertainment. We offer an atmospheric bar, restaurant, snack bar, 4 bowling alleys and an amusement corner. Our bowling alleys have black light and disco lights, electronic scoreboards and good music, which make them perfect for a fun afternoon or evening out. Challenge your family to an intense tennis match. 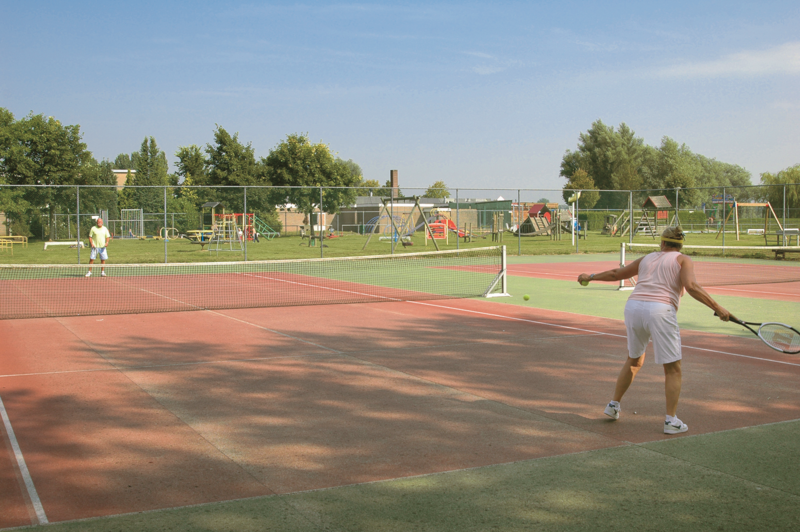 The park has 2 all weather tennis courts. Tennis rackets and balls are available for a fee at the reception. 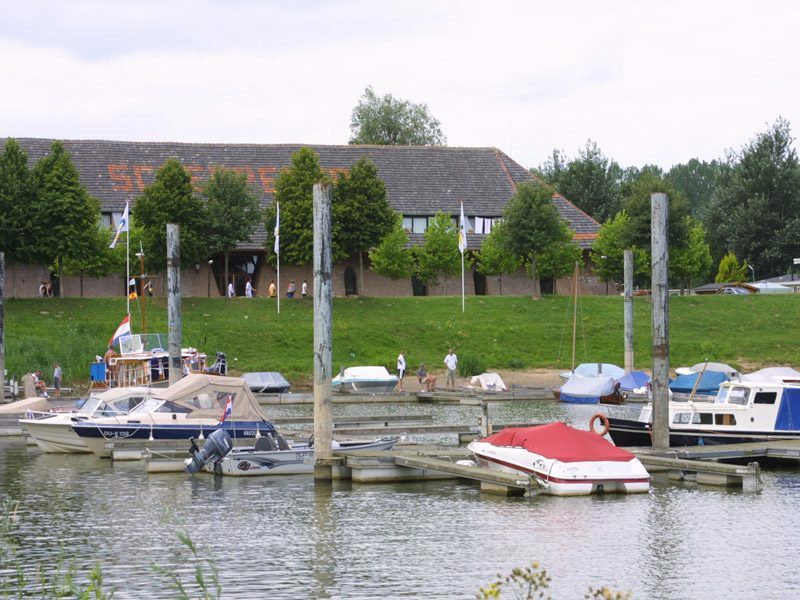 The large marina is located directly on the IJssel river. This private marina has seventy berths and a number of spaces for jet skis. 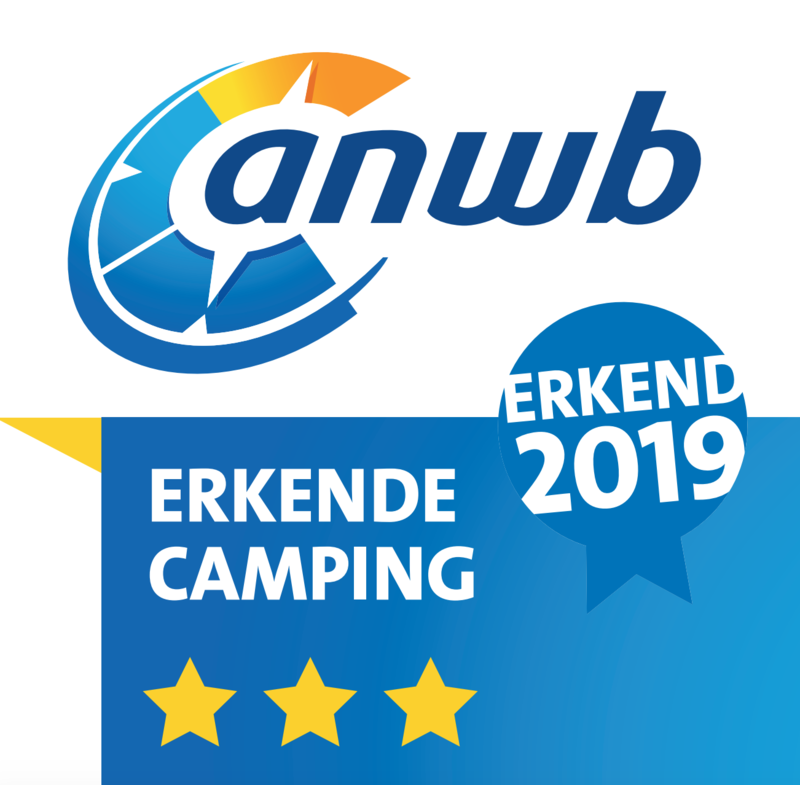 Perfect if you want to make a boat trip on the IJssel from the park. You can visit various "Hanze" cities such as Deventer and Zutphen directly from the harbor. The cozy town of Kampen and the connection to Flevoland are also easily accessible by boat. This pub offers old fashioned ambiance. Have a nice drink at the bar and toast to a successful holiday. The Bogen hall is used in the high season for many different activities for young and old. For example live music nights, (children's) bingo nights, (children's) shows and many more. 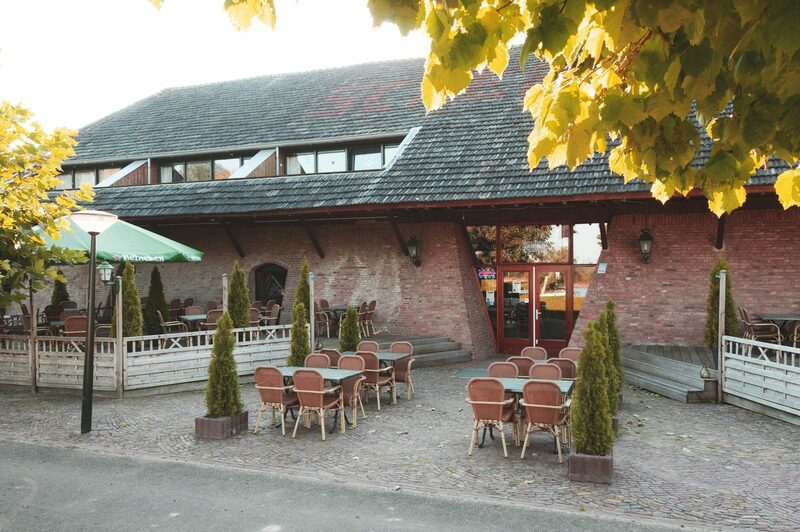 Restaurant "Het Havencafé" is a child-friendly a la carte restaurant. Situated in an atmospheric stove oven with a large terrace located on the IJssel river. 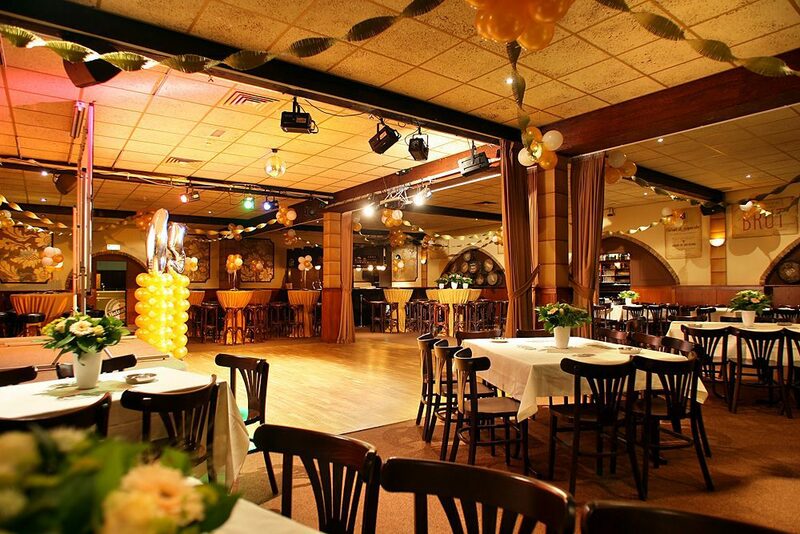 The restaurant is also very suitable for parties and events. We can cater the event completely according to your wishes with our many possibilities such as: a hot and cold buffet, snack buffet or a barbecue. Pay a visit to Cafe De Saloon. De Saloon has a pool table and darts board. 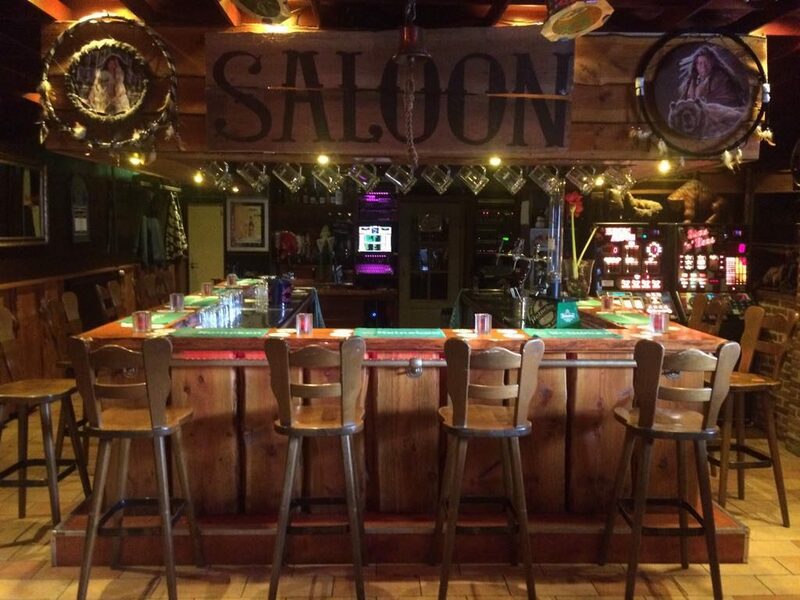 If you prefer to have a drink, then you can take a seat at our cozy bar.